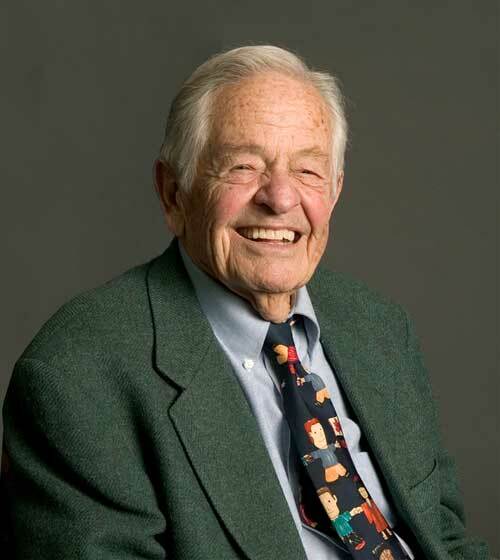 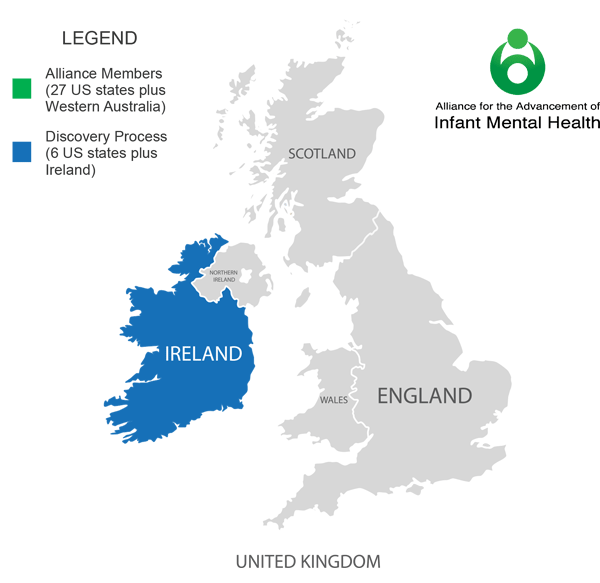 MassAIMH is a member of the growing alliance for the advancement of infant mental health. 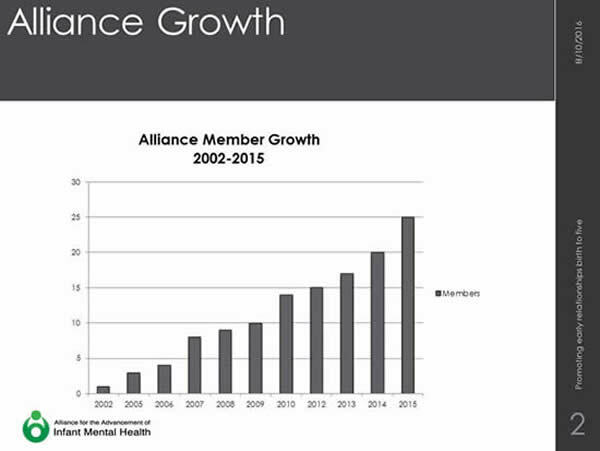 MassAIMH members may receive a discount on Alliance products. 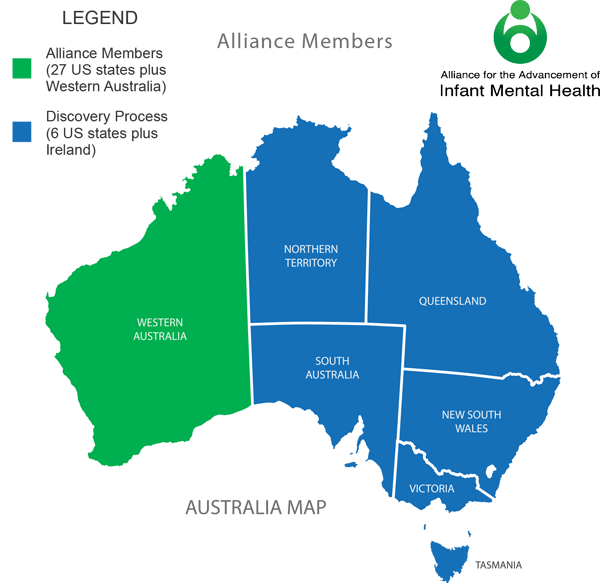 The Alliance is a newly forming, formal, global organization that includes those states and countries whose infant mental health (IMH) associations have licensed the use of the Competency Guidelines and Endorsement for Culturally Sensitive, Relationship-focused Practice Promoting Infant Mental Health® from the Michigan Association for Infant Mental Health (MI-AIMH). 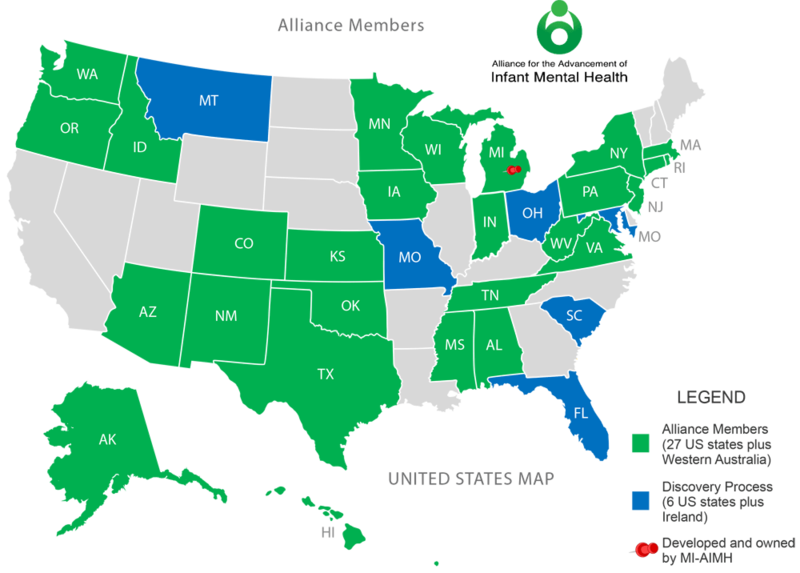 Snapshot: What is the Alliance?